Until recently, Facebook had been trialling a new platform for shows on their social media network called Facebook Watch. Watch aims to provide a new way for people to consume video content, while giving creators another opportunity to build a following and engage with their audience. The Facebook Watch platform contains videos from across their network and will highlight a new feature called Facebook Show Pages. Facebook Show Pages are shows made up of “episodic content”. Basically shows that have episodes that follow a theme or storyline. These can be pre-recorded or recorded live, and can be shared direct to the audience who subscribe to the show. During the trial period, Facebook Watch had only been available to a selected audience based in the USA. And shows were by a very select group of video creators that were hand picked by Facebook from expressions of interests. These creators have been using the Watch platform for a variety of content, some have filmed episodes that take the form of daily video blogs (or vlogs), while others are using the platform to share product reviews, cooking shows and dramatised serials. Think Netflix for Facebook: the ‘creative’ options are endless. Since it’s initial trial rolled out, more than 50 million people in the US have viewed videos for at least one minute, and this has increased by 14 times since the start of 2018. These initial statistics indicate that Watch is going to be a great platform for sharing visual content that has huge potential to increase visibility, and ultimately business growth. 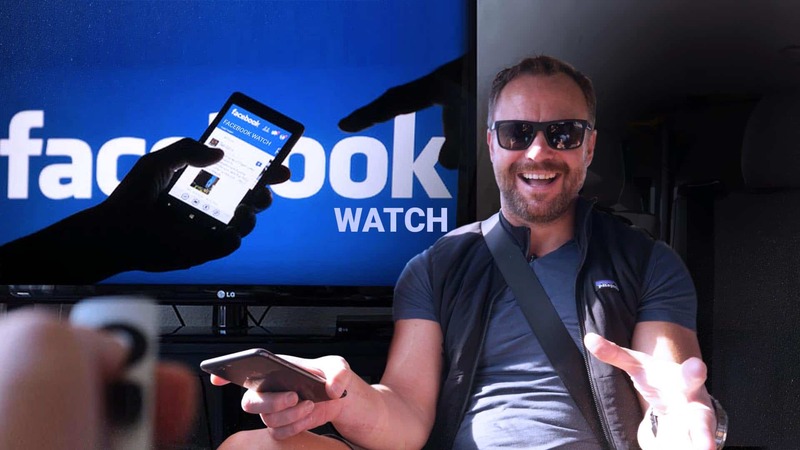 It was originally only available to USA Facebook users… but as of 29th August, the Facebook Watch platform is rolling out globally and the first experiences for users in Australia initially rolled out to mobile only. When it comes to digital marketing, small businesses will be able to leverage this new social media opportunity to reach a much wider audience, and interact with them on a more organic level. What’s more, creating a Facebook Show gives small businesses an opportunity to become a broadcaster which would be out of reach in mainstream media and building an audience. Maybe even become the next Game of Thrones or The Walking Dead! If you are a creator and have a history of creating episodic video content on your Facebook Page (both live and/or pre-recorded), it might be a good idea for you to submit your application to be offered access to a Facebook Show Page. Facebook Ads Breaks program is also expanding so that creators can monetise their Show and other video content, and updating their analytics tools so that it is possible to gain insights about the best practices of using the Facebook Watch platform. While it is still early days, smart businesses will be familiarising themselves with the Facebook Watch and Show pages now so they can stay ahead of the curve as the social media landscape changes once again. Will you be creating your own Facebook Show Page? Let me know in the comments. Tracy has a passion for helping businesses leverage social media to grow their business. With a background in IT, Tracy has been helping businesses leverage social media and digital marketing since 2009.